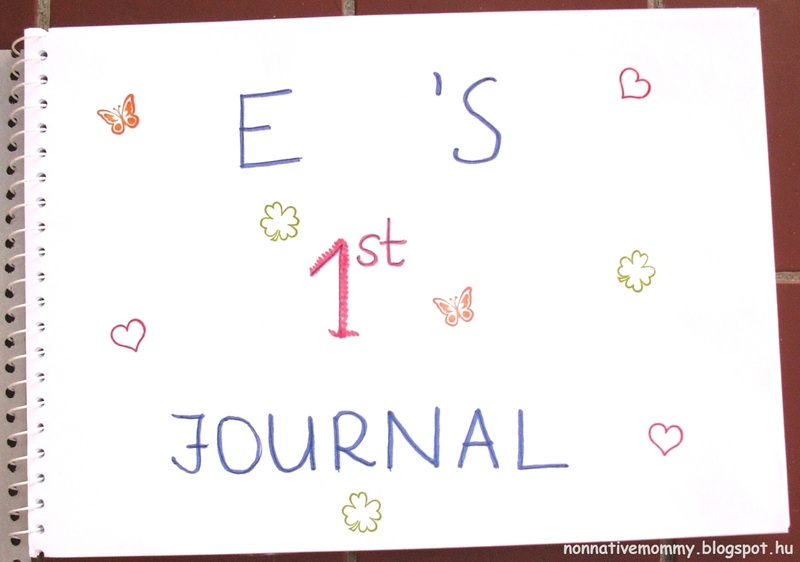 E. got a journal for her name day in July. At first, she wasn’t very interested, but now she is getting the hang of it. I presented her with a journal because I want her to draw more, which she doesn’t like much. Secondly, we are a journal writing family, and I only hope she’ll join the club. I got some journal ideas on pinterest, some of which I’ve collected in a new board. There are some drawing, sticking and tracing pages. I also added pages like “Draw your Mommy” or ” Draw a picture of you”. But she hasn’t had any intention to look at those pages. 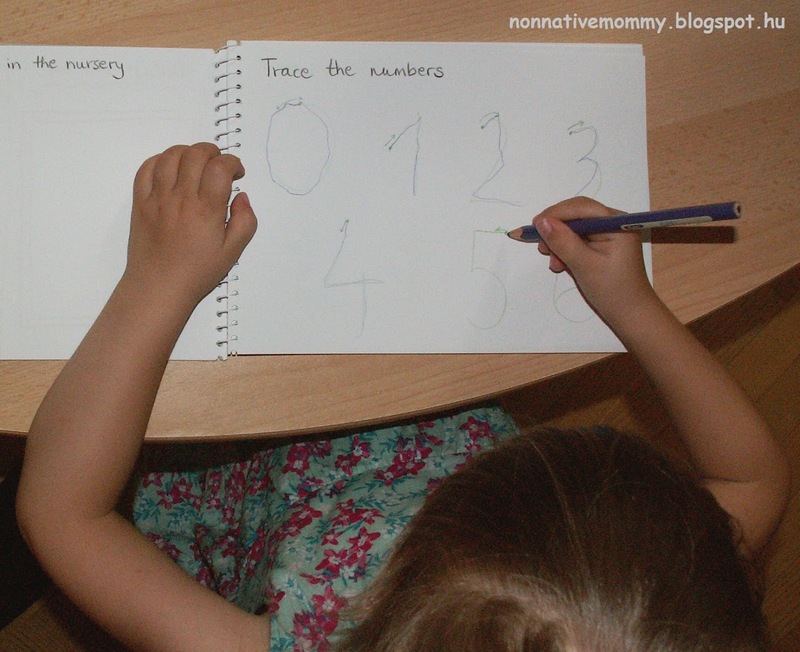 She was much more interested in the numbers and letters. 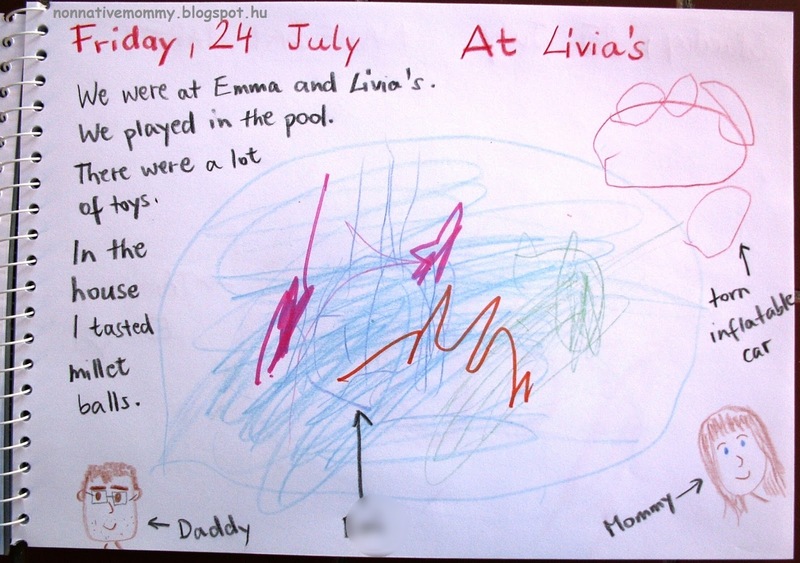 I was also influenced by Mama.Papa.Bubba blog journaling idea. I really hope this will be a successful project in the long run and she’ll embrace this sort of memory collection. Fingers crossed. 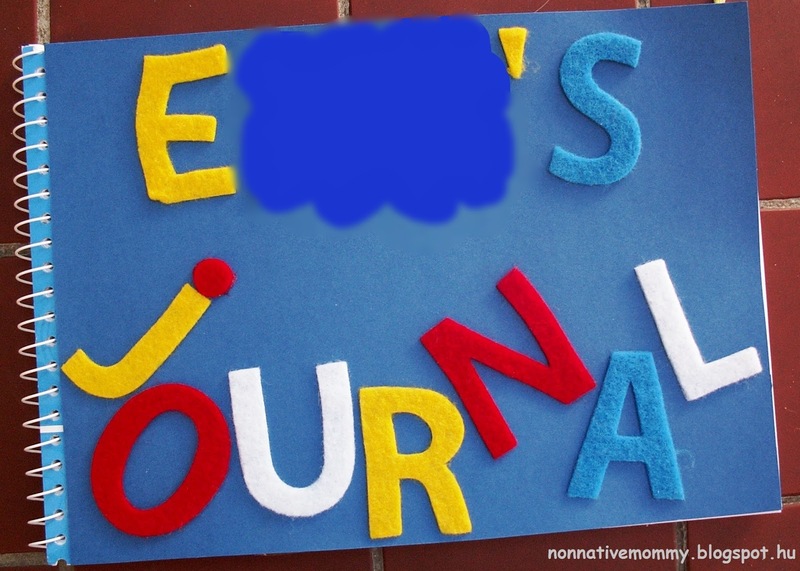 I’ll come back with some more feedback on journal writing.